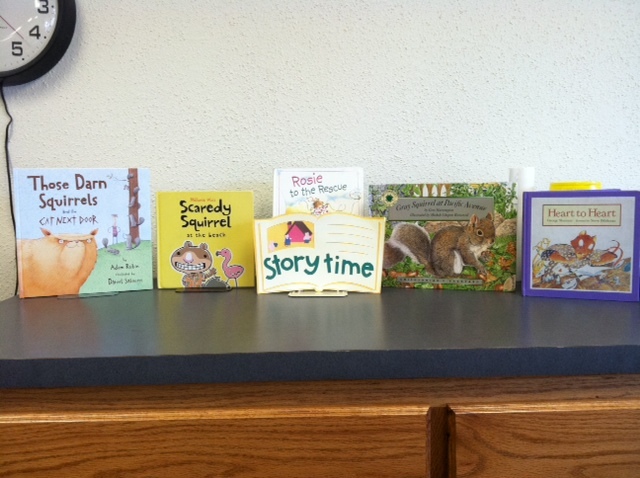 This weeks Story Time @ 10 theme was “Going Nutty for Stories” and featured books about squirrels. To start with, we “Shook Our Sillies Out” and then sang “The Squirrel Song.” The kids enjoy getting up and moving before we read the stories. This helps them settle down when I actually start reading and they seem to listen better! I displayed Gray Squirrel at Pacific Avenue and Scaredy Squirrel at the Beach, but did not read them because the natives were getting restless. We then talked about what we learned about squirrels and my favorite was “They are the champions of the forest!” So now when that little girl has to do a report on squirrels in school, she will most definitely cite this. 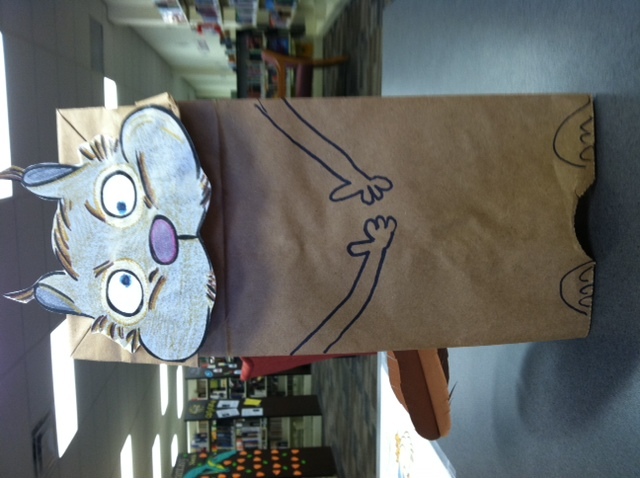 After our discussion on “Why Squirrels Are So Awesome!” we made Squirrel hand puppets out of paper bags. I would have loved to do something more detailed, but I had to remember that these are preschoolers. I tried to get a picture of each of the kids with their finished puppets, but they were too busy trying to eat each with their squirrels. All in all, it was a fantastic story time! The kids loved the crafts and I was excited by their enthusiasm for the books. I would highly recommend reading Those Darn Squirrels for a story time, as the kids were enthralled by the book the entire time I read it. 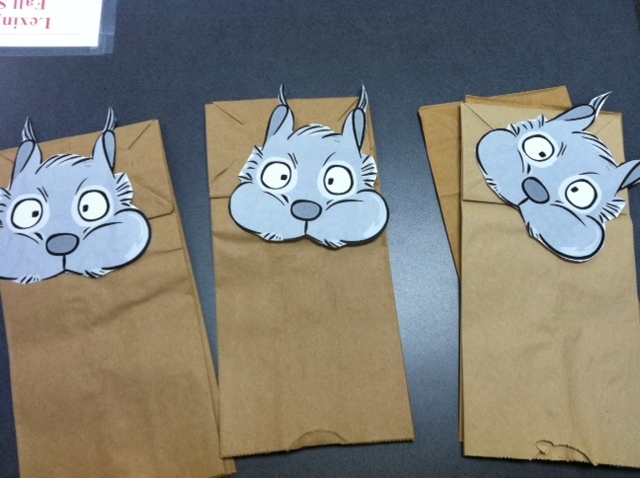 Squeals of laughter and giggles are always a good sign that a book is a hit! *Sorry for the delay in posting, work has been a little hectic!